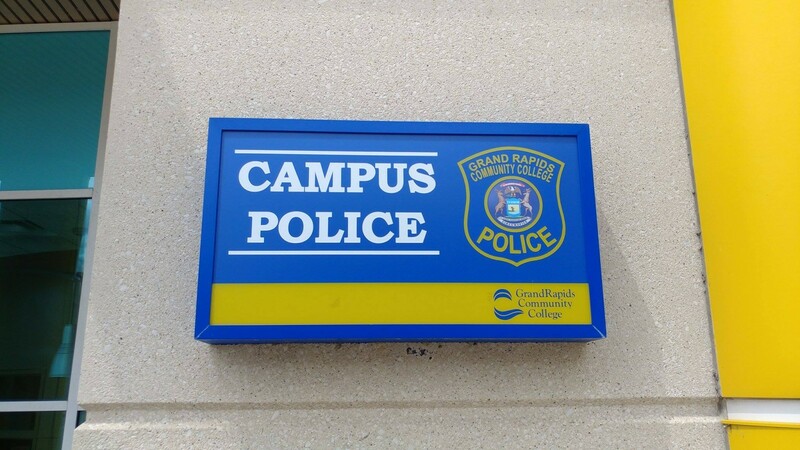 On August 8 at 1:26 p.m., a GRCC police officer was dispatched to room 124 of the Tassell M-Tec due to a possible larceny from a motor vehicle. A GRCC employee called the police department asking for an officer to speak to a student regarding a situation she witnessed earlier. When the police officer arrived, they talked to the student she stated that on that day at 10:40 a.m. she was smoking a cigarette at the bus stop near the entrance to the M-Tec Center on Godfrey. 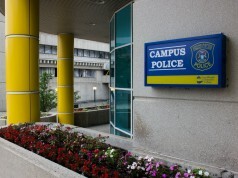 The student said that she saw a red Dodge Caravan, which was occupied by an unknown driver, stop near the bus stop. 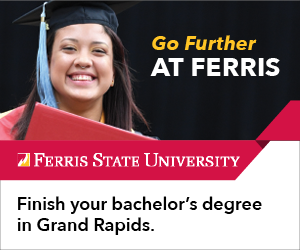 She said that a 20-year-old 6-foot white male was running in the parking lot with a white bag and entered the Dodge through the sliding door. He was carrying a white bag. The driver proceeded north on to Godfrey going towards Market street. The officer walked to the front of the parking lot with the witness and she pointed out the middle of the parking lot. The officer drove around the entire lot and looked at all of the parked vehicles. The officer did not find any signs of a vehicle that many have been broken into. At the time no one made a report of a larceny of a vehicle.